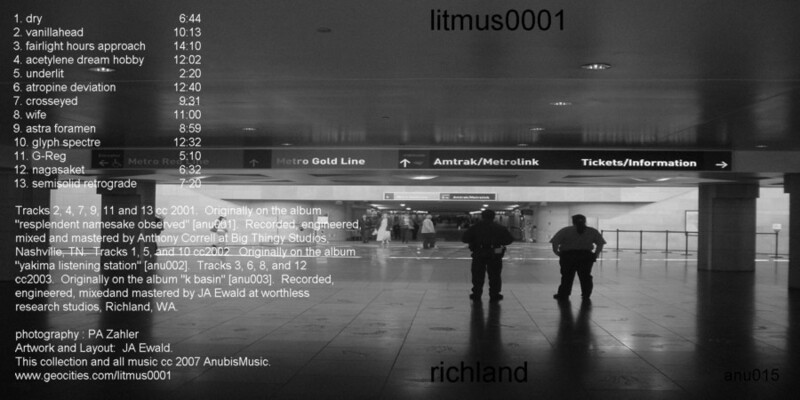 This was recorded late October to December last year, and engineered and mastered in January into February of this year. 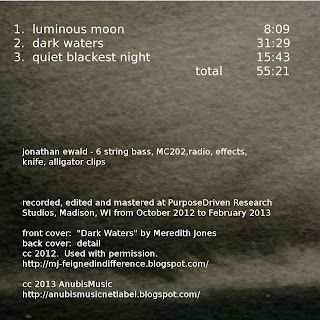 With this album, I had the opportunity to collaborate with my friend Meredith Jones who is very talented. I have wanted to use her artwork for a while, not just as cover art (great cover art), but as something to respond to musically. While I think I first saw this after I recorded the material, the image resonated with me. 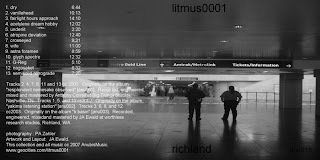 Out of the material that I recorded over that period of time, these tracks seemed to fit the visual fairly well. 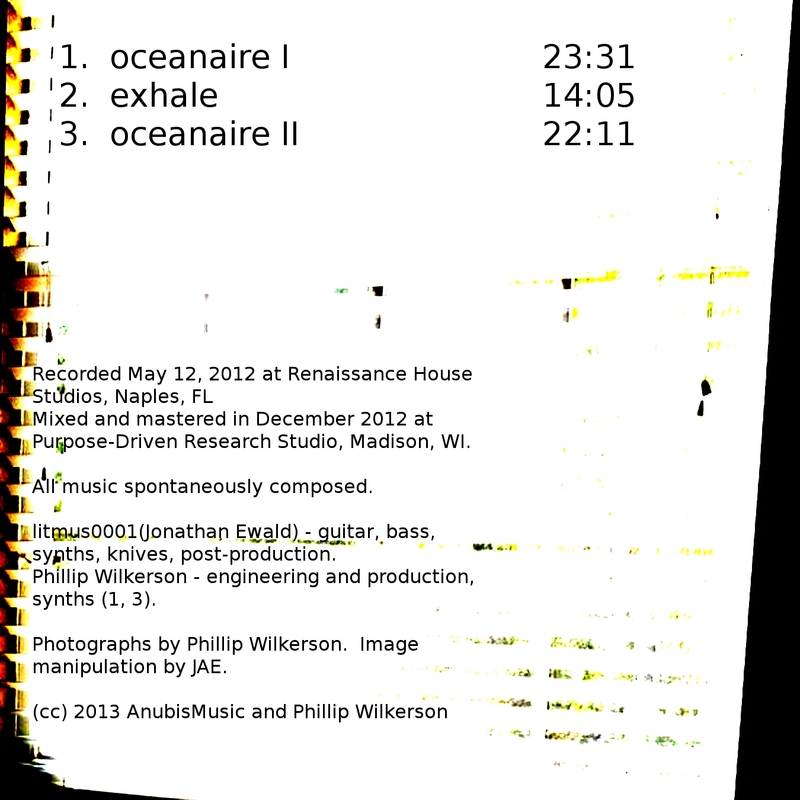 And since I title my pieces well after they are recorded, edited, engineered and mastered, I was able to title the tracks appropriately in respect to both the individual pieces as well as the greater piece as a whole. In the end, yeah, I think the album tells a story that is inspired by Meredith's painting, albeit in a seeming retroactive manner. As in improvisation, things just come together in a way that makes it seem like it was meant to be when it's more a case of independent trajectories intersecting. The image is a framework around which improvised sounds, the recorded tracks, are arranged and organized. Just not immediately. Similar to the idea of xenochrony, explored by Zappa among others. 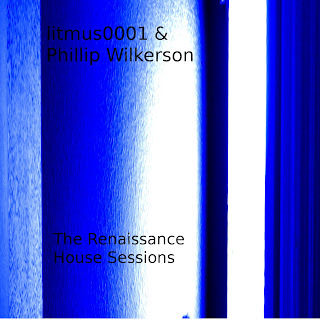 New collaborative album from litmus0001 & Phillip Wilkerson. 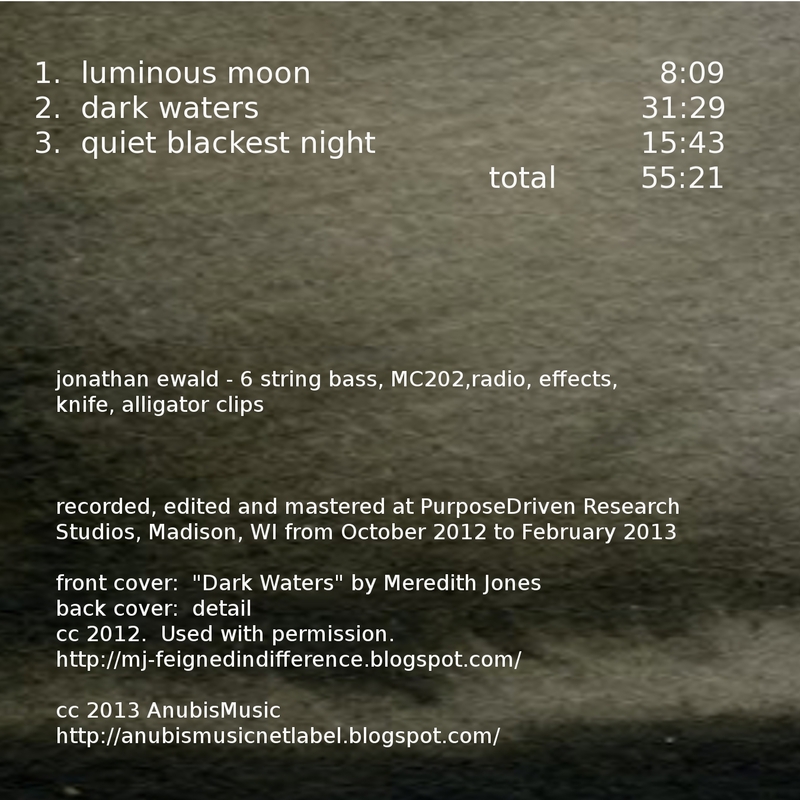 Mixed and mastered in December 2012 at Purpose-Driven Research Studio, Madison, WI. 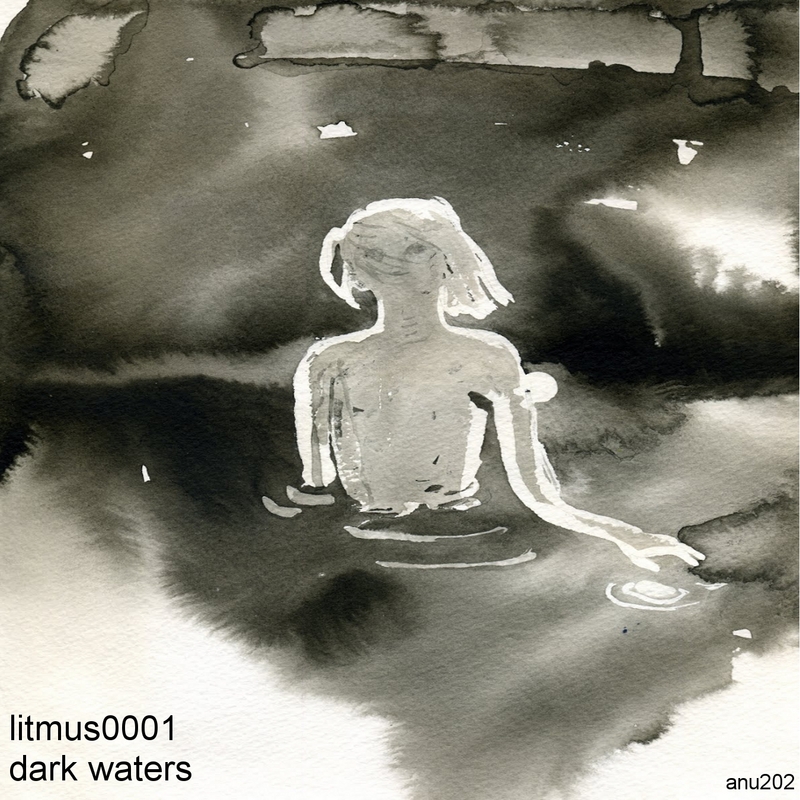 litmus0001(Jonathan Ewald) - guitar, bass, synths, knives,editing and post-production. 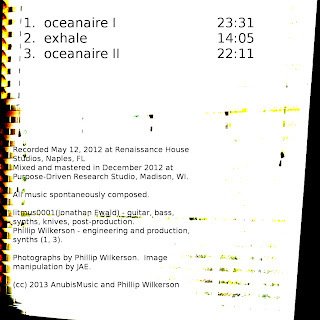 Phillip Wilkerson - engineering and production, synths (1, 3). 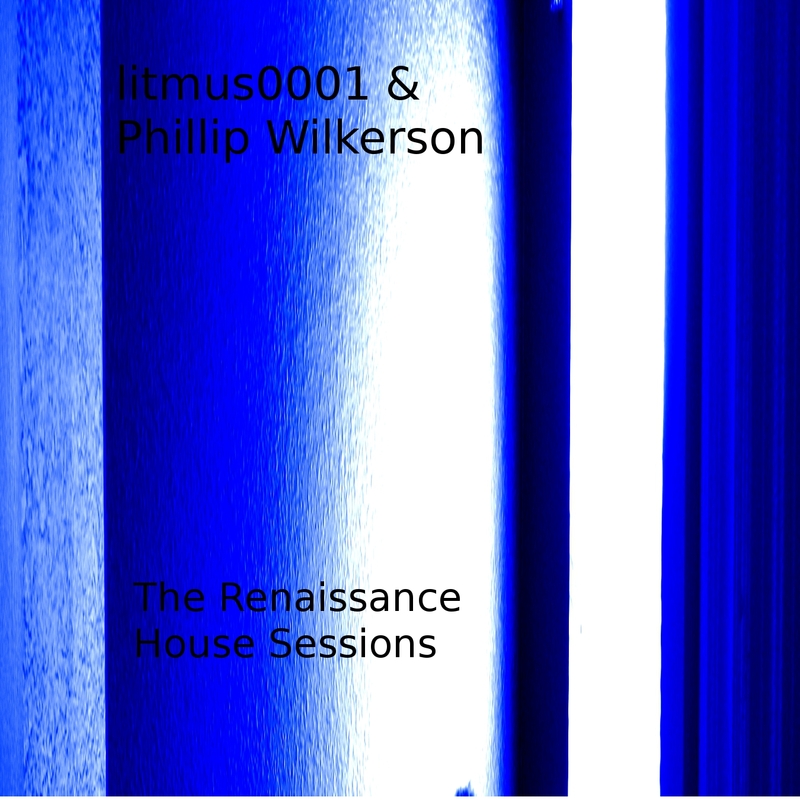 Photographs by Phillip Wilkerson. Image manipulation by JAE.